The following is highway construction scheduled to occur within Hancock County. Work is dependent upon weather conditions, and unless otherwise noted, it will take place during daytime hours. 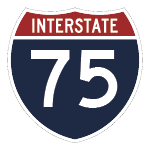 Interstate 75 between county Road 99 and the Lima Avenue/county Road 313 overpass within the city of Findlay is affected during a $114 million reconstruction and widening project. For information, visit the project website here. Interstate 75 between Bentley Road and state Route 103 will be restricted to one lane at times for a bridge repair project. Work will occur on I-75 over Riley Creek in Allen County and on the county Road 15 bridge over Interstate 75 in Hancock County. The project is expected to be completed in late September. Work is being performed by Miller Brothers Construction, Archbold. Interstate 75 in both directions will have occasional lane restrictions throughout the duration of the project. A maximum width restriction of 13 feet is in place during the lane restriction. County Road 15 (County Line Road) over Interstate 75 will close Aug. 13 for approximately 30 days for bridge repairs. Variable speed limits are in place through the work zone. Electronic messages boards display the posted, legal speed limit, which will be reduced during construction operations and presence of workers in the area. The posted speed limit on the electronic boards is enforceable by law. State Route 12 between Findlay and Fostoria is now open following two culvert replacements. U.S. 68 between Liberty Street and the bridge over Buck Run, within the village of Arlington, closed July 9 for approximately four months for pavement reconstruction. Local access will be maintained throughout the project. Work is being performed by Miller Contracting Group, Ottoville. The following detours will be in place through the duration of the project. State Route 330 between North Street and state Route 568, north of Vanlue, will be restricted to one lane for a resurfacing project beginning Aug. 13. Work is being performed by M&B Asphalt, Tiffin. State Route 330 over state Route 15, Vanlue, closed May 29 for approximately four months for a bridge deck replacement. Lane restrictions on state Route 15 approaching the bridge are in place through the duration of the project. Work is being performed by E.S. Wagner, Oregon. The following detours are in place through the duration of the project. State Route 568 between Bright Road and the Wyandot County line will be reduced to one lane through the work zone for a resurfacing project beginning Aug. 13. Work is being performed by M&B Asphalt, Tiffin.